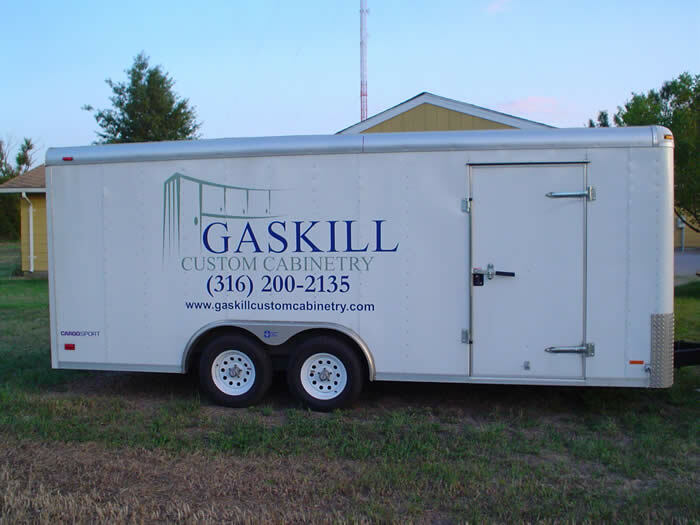 At Gaskill Custom Cabinetry we incorporate many different types of joinery when constructing our cabinets. 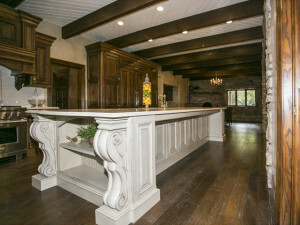 All methods of joinery ensure strength and rigidity throughout the life of the project. These joinery and construction processes combined with a beautiful, long lasting, and durable finish are incorporated into every GCC order. Cabinet boxes are made using 1/2″ plywood. Other cabinet companies tend to use 3/8″ side material that often causes warpage. We then use a half depth dado cut that locks the cabinet members to one another. The combination of dado cuts, glue, and staples make our cabinets very stable. We can use white, almond, wood grain, or a variety of other colors for this purpose. Using melamine or finished plywood allows the owner to easily clean and maintain their cabinets throughout the life of the project while giving a very attractive and durable finish. We use 3/4″ material for all of our adjustable shelves. Some companies use 1/2″ material that tends to sag over time. Our shelves have extra thickness that gives them strength under heavy loads. The exposed edges of the shelves are finished with a matching rubber t-molding that protects the front from scratches and dents. As a result of the interiors being shown with glass door cabinets, we will use an appropriate wood interior to match the exterior of the cabinets. The shelves will also match and have a solid wood edging to cover any exposed edges. All visible cabinet surfaces such as bottoms on upper wall cabinets are finished with the matching wood species to match the rest of the project. At GCC we use 3/4″ solid wood for our face frames. The rails and stiles are pocket screwed and glued together to ensure case rigidity and squareness. We then use a dado joint to join the cabinet sides and face frame to one another. The face frame is then glued and pin nailed from behind. There are no visible holes in the front of our face frames. Our dovetail drawer boxes are constructed using 5/8″ solid hardwood with a 1/4″ bottom. If the drawer is large enough we will incorporate a 1/2″ bottom for strength. This application is generally used when Pantry pullouts are used as a result of the weight of canned goods. GCC can match your hardwood drawers with the wood species used on your project. For example, if you are building a kitchen with maple wood, we will make the drawers out of maple as well. This process ties all the cabinet components in very well with one another. We also offer many types of drawer slides to fit your budget concerns. We offer 100 pound, 3/4 extension Grass slides, 100-200 pound full extension Grass slides or 125 pound full extension Grass slides with a self closing feature. All of these slides are covered under the warranty provided by the Grass Corporation. All end panels are finished and flush cut with the face frame. This blending process gives a clean appearance and is vital for crown molding installation. We can also use a rounded corner and raised end panel affect that is a very attractive upgrade for your cabinets. Cabinet doors and made of 3/4″ material and can have either raised panels or flat panels. Glass mullions or glass panels are also available. The rails and stiles are joined together using mortise and tenon joinery. This classic joint has proven to be very strong and functional over time. If desired, we can also incorporate a mitered door for your project. GCC has found that a standard overlay hinge is not only the most popular style today, but also the most practical. We use a full overlay 1″ hinge that is fully adjustable and concealed. Depending on customer needs we also offer a door hinge with a soft close feature. This hinge is used on all upper end cabinetry and offers a great way to eliminate door slamming. Due to an extensive range in door pull and door handle styles your options on door hardware are unlimited. We can also incorporate a routed cove on the backside of your doors if you choose not to use any hardware.